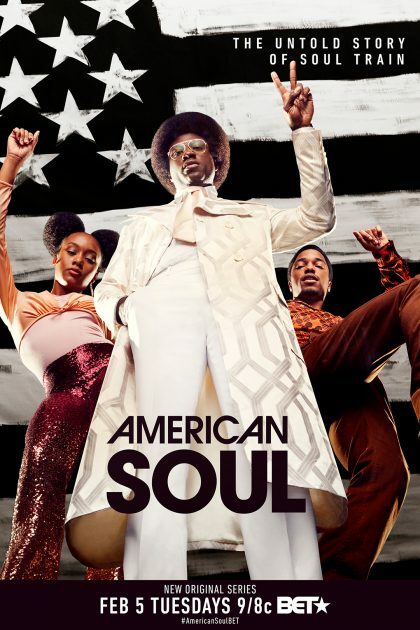 Check out the latest episode of BET’s highly anticipated drama ‘American Soul’. Get into the Jesse Collins executive produced series as it tells the story of Don Cornelius as he creates the iconic dance series “Soul Train”. Watch the show which stars Sinqua Walls (Power, The Breaks), Kelly Price (Grammy®-nominated singer), Jason Dirden (Greenleaf), Iantha Richardson (This is Us), Katlyn Nichol, Jelani Winston, Christopher Jefferson & Shannon Wallace. Look for special appearances from Kelly Rowland as Gladys Knight, Michelle Williams as Diana Ross, Bobby Brown as Rufus Thomas, K. Michelle as Martha Reeves, Gabrielle Dennis as Tina Turner and McKinley Freeman as Ike Turner.